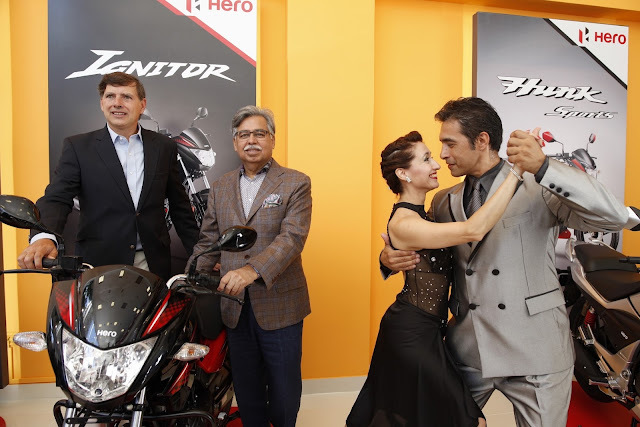 Bangalore, 13th January, 2017: Hero MotoCorp, the world’s largest two-wheeler manufacturer, today unveiled the New Glamour – its first-ever Global Launch of a new product outside of India. 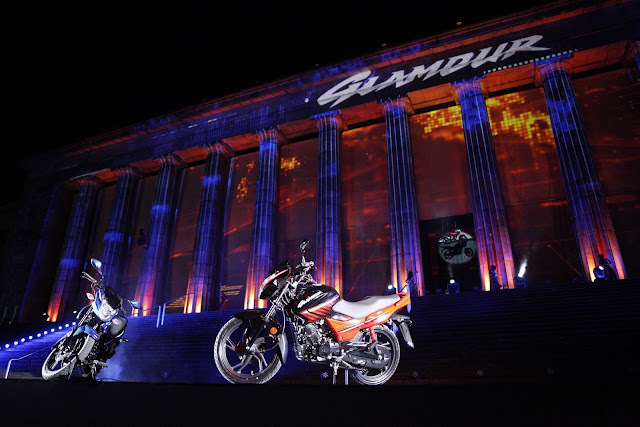 This global launch of the New Glamour coincides with the commencement of Hero’s operations in Argentina, its 35th market in a its rapidly growing global footprint. This combined launch comes in conjunction with the impressive debut of Hero MotoSports Team Rally – comprising of riders C S Santosh & Joaquim Rodrigues - at the Dakar rally 2017. “Our first global launch of a new motorcycle here is reflective of the importance of Argentina and Latin America for us on our global map. South America is an important market for us, a fact borne out by our first overseas manufacturing facility in Colombia. With the commencement of our operations in Argentina, we are now significantly growing our presence in the region. We will be focusing on capturing an adequate market share here with our iconic product range. We have already begun our brand building initiatives for Argentina by bringing on-board the Argentine legend - Diego Simeone, the coach of Atletico de Madrid,” he added. For the local market in Argentina, Hero MotoCorp has rolled out four products from its wide portfolio in the first phase - Hunk, Hunk Sports, Ignitor and the scooter - Dash. In the second phase of its operations, the Company will look at bringing in more products across different segments. Powered by a BS-IV compliant 125cc TOD (Torque-on-Demand) vertical engine, the new Glamour motorcycle is a perfect amalgamation of power and performance. The new Glamour, like its predecessor, comes in two variants of carburation i.e., carburetor and Fuel Injection (FI). However, the carb version has been upgraded to run on CV carb, while the FI version has got the next generation FI for better control on each drop of fuel. The air-cooled single cylinder, OHC engine produces a maximum power output of 11.4BHP (8.5 kW) @ 7500 rpm and maximum torque of 11 Nm @6500 rpm, thereby giving the new Glamour 27% added power and 6% more torque with further improvement in fuel efficiency 3% (carb.) ~ 7% (FI). The bike races from 0-60 km/h in 6.03(carb.) and 5.64(Fi) seconds only. The new Glamour also features the Hero patented i3S (Idle-Stop-Start system) technology that has been widely appreciated by customers. In addition to increasing the fuel efficiency, the intuitive i3S system is an important convenience feature in the urban stop-go traffic condition. The new Glamour also makes a masculine style statement with its sharper and sportier design. The new ‘V’ shaped headlight, twin pilot lamps, signature LED light guide tail lamp, and all new Y spoke stylish alloy wheels add to the contemporary appeal of the motorcycle. The new enlarged tank fairing, rear fender and chiseled rear cowl enhance the bold stance and premium-ness of the bike. Adding to the style-quotient, the carburetor variant comes in four exciting color variants - Black with Techno Blue, Black with Sports Red, Black with Tornado Grey Metallic and Candy Blazing Red, while the FI model comes in three color options - Techno Blue with Black, Black with Sports Red and Candy Blazing Red. In addition to the impressive performance and design elements, the motorcycle comes loaded with comfort and utility features, such as New Analog Digital Speedometer with i3S Indicator, Digital Fuel Gauge, Trip and Mileage meters, new Seat Texture and tubeless tires. The first-in-class Automatic Headlamp On (AHO) feature provides enhanced visibility and adds to the safety of the rider while riding under low-visibility conditions. 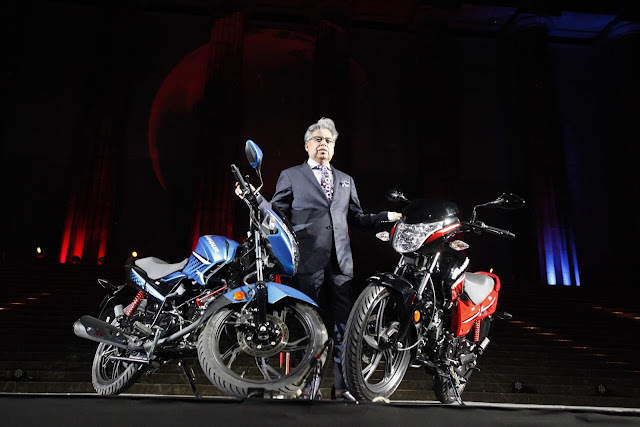 For the past 16 consecutive years, the New Delhi-headquartered Hero MotoCorp has remained the world’s largest two-wheeler manufacturer in terms of unit volumes sold by a single company in a calendar year. The company sold over 6.63 million two-wheelers in the last financial year (FY’16). Since its inception in 1984, Hero has sold over 70 million motorcycles and scooters in cumulative sales. Hero MotoCorp currently sells its products in 35 countries across the world. Hero MotoCorp has five manufacturing plants, four in India and one in Colombia. 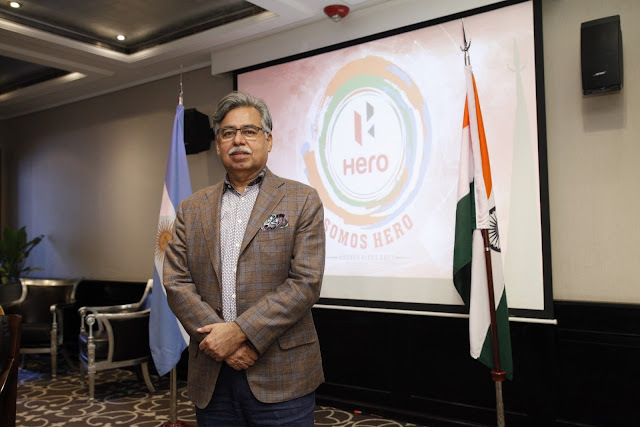 Hero's second manufacturing facility at a global location is coming up in Bangladesh. Hero MotoCorp's state-of-the-art R&D facility – the Centre for Innovation & Technology (CIT) has been built with an investment of US$126 million and has engineers from India and around the world working on Hero’s next generation range of motorcycles and scooters. Hero MotoCorp has been associated with various disciplines of sports including golf, cricket, field hockey and football for over two decades now. Fourteen times major winner Tiger Woods is Hero's Global Corporate Partner.